The Alma Accent Prime multiplatform machine is a new addition to our practice. 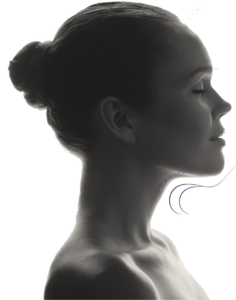 This phenomenal new treatment option is currently available for body contouring and skin resurfacing, with additional services possible in the future. This revolutionary new aesthetic treatment platform consists of deep heating technology, dialectric heating, impedance matching, ultrasound, focused radio frequency, microplasma pixel technology, cold shear wave technology, hot ultrasound, and photo imaging. At Mind Body Spirit Care, we use this powerful machine to provide body contouring, cellulite, and skin resurfacing services. Using Accent Prime, we are able to provide body contouring services using the deep heating and dielectric heating technologies. These technologies work to contour the body by applying direct heat and frequencies into the body, speeding up water molecules and causing volume contraction. The RF frequencies allow us to customize the treatment and target specific areas. The Accent Prime machine used by our technicians uses a combination of RF energy and mechanical massage to eliminate cellulite and improve the appearance of target areas. This treatment is completely safe, takes only minutes to complete, and leaves your skin looking beautiful. 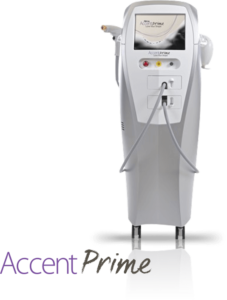 Accent Prime can also be used for skin resurfacing by harnessing the machine’s powerful microplasma RF technology. This treatment is available for all skin types, and can be combined with other treatments in our practice to give you fresher, younger looking skin. If you are interested in learning more about what this amazing technology can do for you, contact us today for an appointment. Our aestheticians are trained in the use of the Accent Prime and can use it to help you achieve your goals.